Used to replace traditional T10 Halogen globes. 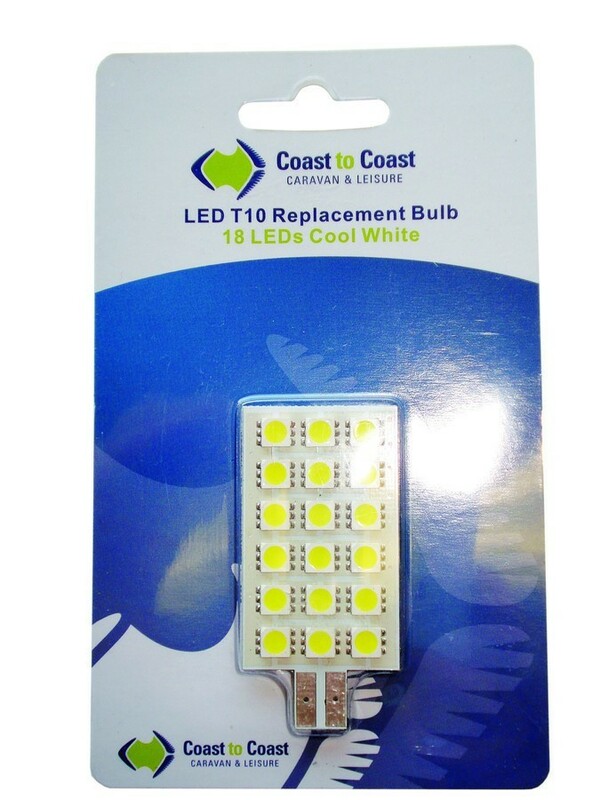 these LED bulbs are ideal replacements for traditional T10 bulbs commonly used in Caravans, Pop Tops, Motorhomes & Camper Trailers. These super energy efficient bulbs will help reduce your power outlay, the long lifespan also means a reduction in replacement bulbs. Ensure your family's safety. ​Approved and conform to the Australian & NZ safety standards. C-Tick approved. 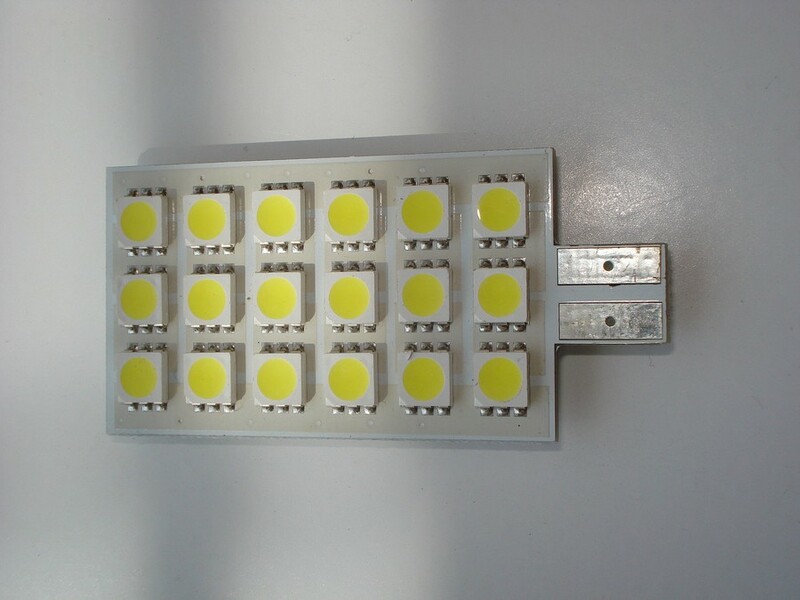 Our Comments: LED Bulbs are a must if you are ever planning to free camp and rely on battery power. 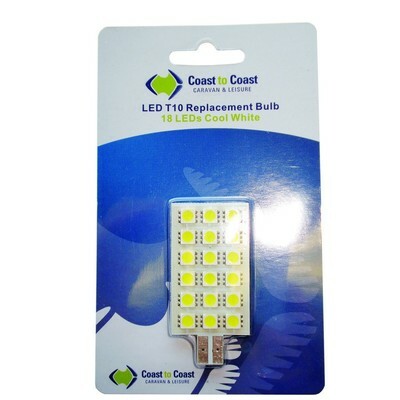 The traditional style bulbs will drain your battery a very short space of time but these LED bulbs use approx. 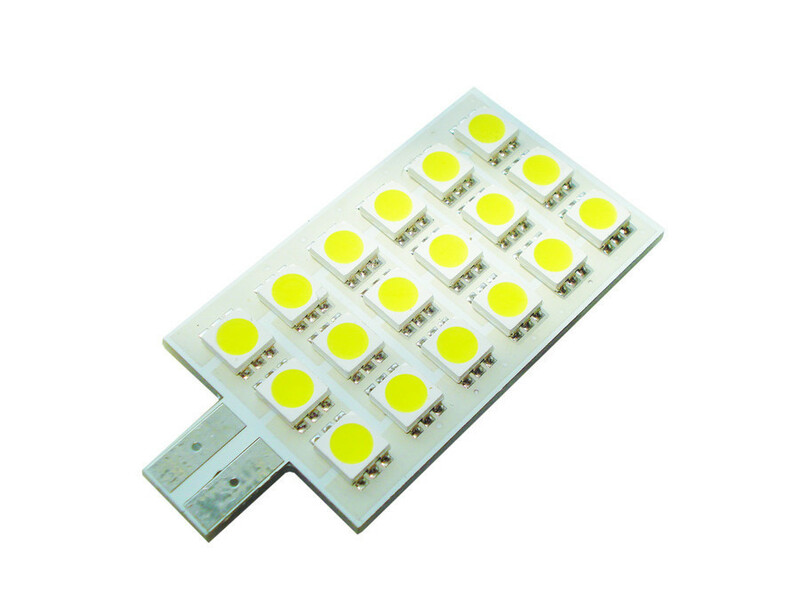 15 times less energy while still providing the equivalent amount of light. They are produce very little heat. Replaced the old T10 globes with this great little LED panel. I was a little worried that they might be too bright as there were two globes in each of the lights in my van, but they are just right, great light gives the van a modern look at night. One of the easiest makeovers you’ll ever do. Very competitive price from Campsmart.